Trod Nossel (alleged to mean "tree of many branches" by its Founder) is not just a recording studio, but a brand, a story; a comprehensive entertainment company still making records for over 4 decades. 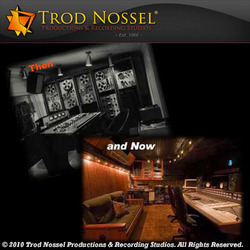 Since 1966, http://www.trodnossel.com Trod Nossel Productions and Recording Studios®, cited by the media as "one of the longest running recording studios of it's kind in existence," has been an icon in the music industry since founded by the late, oral surgeon turned music mogul, Thomas 'Doc' Cavalier. From 1962-1966, it was Syncron Sound Studios (hence the rare, sought-after Syncron microphones, AU7a and S10) when Doc purchased it before renaming it Trod Nossel 1966. The studio's comfortable, vintage vibe houses a collection of memorabilia on its walls; an original letter and release of "No Good To Cry," by The Wildweeds, from Phil Chess (Chess Records/Cadet label), Andrew Loog Oldham (who describes "life on the Trod Nossel Studios lot" as "an American movie" - Chapter 6 in a Sirius Radio commentary) book cover posters, "Stoned," and "2Stoned," early Rolling Stones poster, Motley Crue platinum record for Cub Koda cover "Smokin' In The Boys Room," Grammy nominations for Pinetop Perkins, Howlin' Wolf, and a plethora of recording clients' CD projects. The two studios have an eclectic blend of analog, boutique, vintage and custom gear, and two independent digital state-of-the-art Pro Tools rigs (HD2/HD3). Everything has a story, from the EMT plate reverb to the Yamaha C7 Grand piano; from the control room (formerly the anechoic chamber built in part by Technical Expert, Danny Zellman), to the vintage Neuman U47s, the main sound room (which doubled as a television studio) and everything in between. The music publishing and licensing division consists of 10 publishing companies representing over 150 writers. 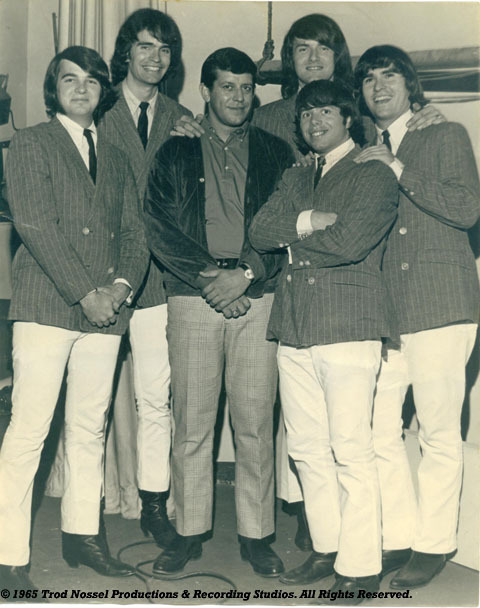 Comprising the 800+ titles from their respective era are some hits throughout the decades such as "No Good To Cry," by Al Anderson, many by members of The Shags, Bram Rigg Set and Pulse, 96 titles by Cub Koda (best known for "Smokin' In The Boys Room"), Howard Jeffrey (The Crayons), Nelsen Adelard, Darlene D, Michael DelGuidice, Gene Michael, Cavalier Brothers and a host of others. Selected titles are licensed directly for synchronization to music buyers such as HBO, NBC, Disney, ESPN, etc., and for mechanical licenses directly through the Harry Fox Agency or Carlin America (Cabas). The master catalog consists of well over 5,000 master tapes, including the famed Trod Nossel Concert Series from the 70s featuring unreleased live concerts from Fleetwood Mac, Steppenwolf, Chick Corea and 20 others. From George Burns and then Yale acting student, Henry Winkler (when the main sound room doubled as a TV studio for The Producers, Inc., another Cavalier production company), to Andrew Loog Oldham, Fleetwood Mac and Grammy nominated blues legends, decades of clients such as Glenn Beck and Vinnie Penn, Inspirational Author Catherine Galasso Vigorito and more recently Sony/Jive Artist R Kelly recording tracks for his latest release, "Untitled," last month, the client list is impressive and keeps on growing. 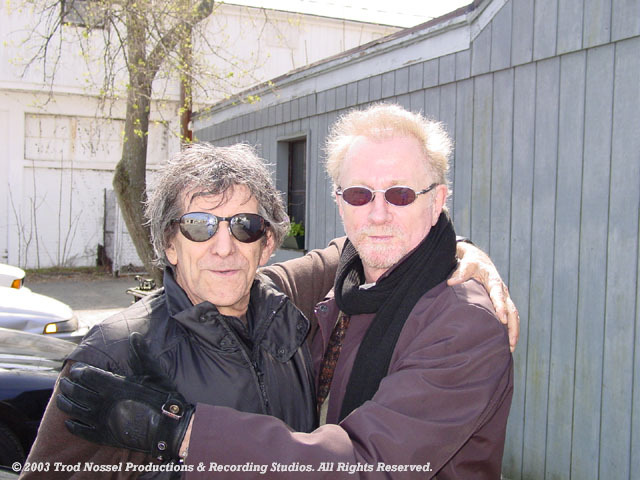 In the wake of the 5th anniversary of Doc's death on January 1, 2010, his company continues to thrive to create, produce, consult, aid, inspire and welcome musicians and artists from all walks of life. Long before the inception of the home studio ("studio in a box"--Doc Cavalier), Trod Nossel Recording Studios had been recording local and major artists, and is the catalyst for launching the careers of many artists through its management division (known as "Rock & Roll Boot Camp" by some musicians previously managed, such as blues artist, Nelsen Adelard, who was managed by Doc in the 70s). Among the gamut of services with impact on the industry, it inspired engineers and current studio owners to set up shop through its audio engineering, computer recording classes (since the early 70s) and work training programs; it was the first to bring the public into the studio as spectators, teach engineering, duplicate tapes and CDs on site, and provide technical and career consultation. The thrust and passion of the organization has always been about the music; managing acts, producing records, and publishing and licensing songs. In the early 90s the Miracle Concerts division booked national and regional shows for then up-and-coming acts like Ellen DeGeneres, Queen Latifah, Gilbert Godfried, The Beach Boys and the Spin Doctors, to name a few. The main 7,000 sq. ft. studio is one of 3 buildings on 3 acres of land, one being band rehearsal rooms. 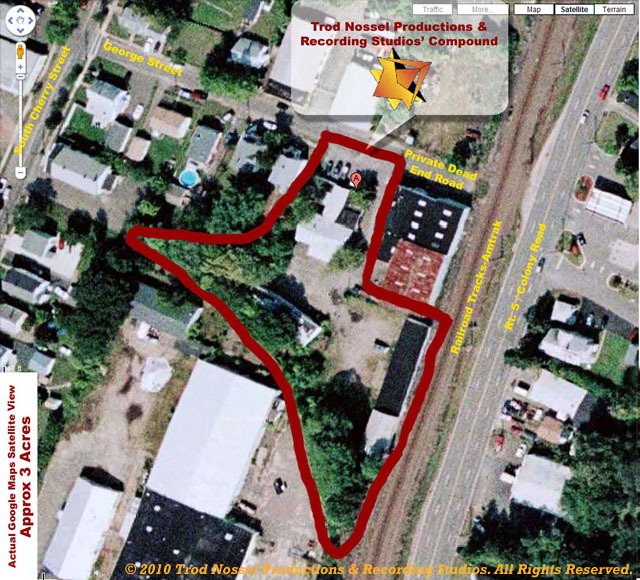 It is a 3 acre "music compound;" private, fenced, and at the end of a dead end street -- a place to make music. Back in the day people like Donovan, whose only request was a basketball hoop installed in the back lot of The Barn (a 10,000 sq. foot building located behind the studio), played basketball between takes. You will always hear music just about any time you pull onto the property; whether it's coming from the rehearsal spaces, the A&R office, or the recording studio, which delivers sessions 24/7. Due to the size of the lot and access to the studio, some filmmakers have expressed an interest in setting up shop there.